I live at an old watermill near the Jed river, with a large and unruly garden. While digging my garden, I kept finding all these beautiful pieces of pottery, old keys and bottles hidden in the soil like pieces of treasure. 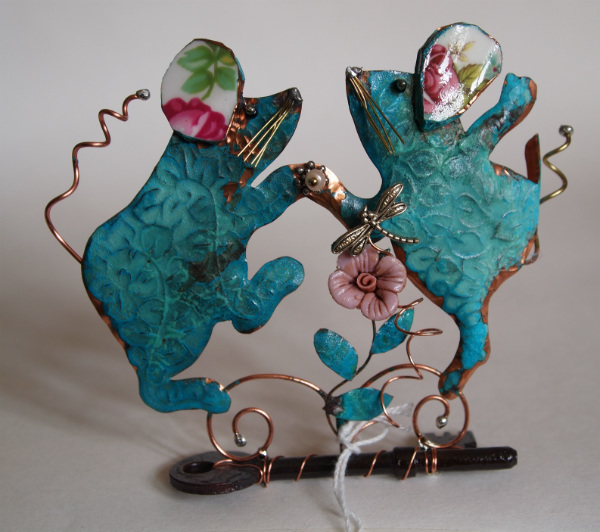 This inspired me to create a range of assemblage and jewellery using copper foil and soft soldering. My garden became a rich source of inspiration and finds such as broken pottery for my creations. The antique and charity shops in Jedburgh also donate their pretty chipped cups, lonely saucers and redundant keys to be turned into a quirky Beastie Assemblage.